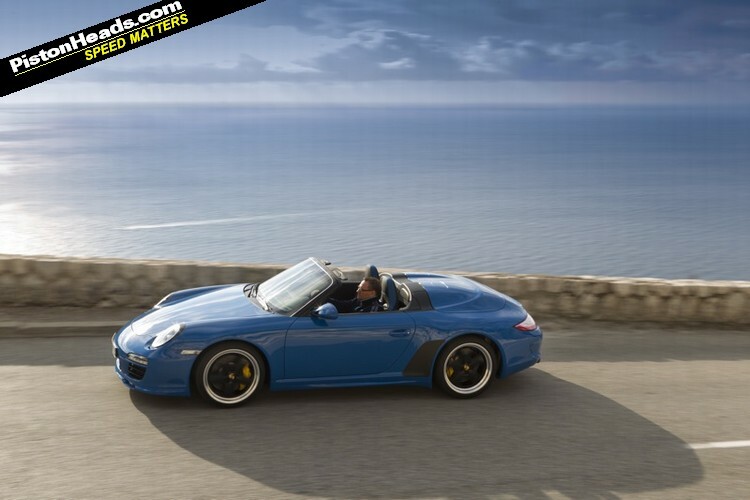 £144,100 is an awful lot of money for what is essentially a roofless, naturally aspirated 911. So whatever else you read about the new 911 Speedster, however impressive (or not) you find its specification or its exclusivity, the debate usually gets back to that price tag. 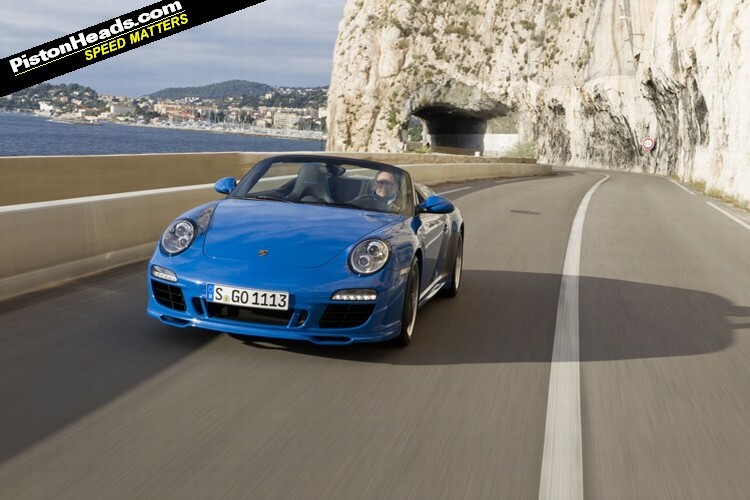 This is another 911 variant launched as the current 997 'generation' reaches the end of the line. Think of it as a twin brother to the Sport Classic model of last year, for like that car it's a product of the Porsche Exclusive department, usually associated with individual and sometimes garish one-off interiors as well as assorted bodykits and other modifications. The Speedster itself is a much older phenomenon, born in the 1950s through a request by Porsche's importer in America for a back-to-basics 356 that cost less and went harder. Porsche reintroduced this idea with both 3.2 Carrera and 964-based versions back in the late 80s/early 90s, and although more 'collectors curiosity' than 'weekend warrior' they're enjoyable cars full of character. Now they're having another go. But first back to the price issue. Whatever your thoughts, the fact is that Porsche spoke to the people it thought would want such a creation in advance, and then built the car accordingly for them. 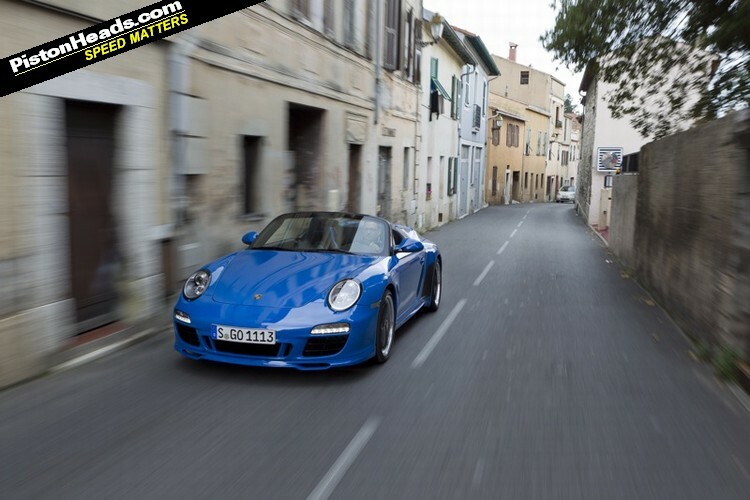 There will be just 356 made (see what they've done there?) 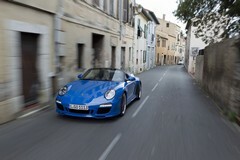 and Porsche expects to allocate them to customers after the car has been shown in America, sure to be a receptive market. All of the UK's allocation are sold already and seeing as we know there will be slightly less of them coming here than the Sport Classic, the best guess is that something like 25 will reach these shores. 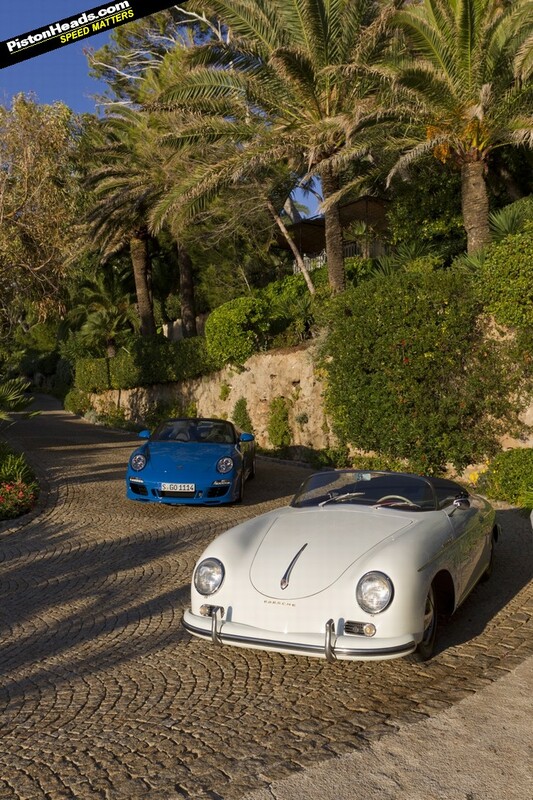 You can bet that their owners will already have a Porsche, or three, in the garage. Much like the Sport Classic, I reckon the Speedster has a more impressive aura 'in the metal' than it does in some of the photos, where its bulbous rear could at best be called ungainly. The width to height ratio and the eye-wateringly strong 'Pure Blue' paintwork (white is the only other option); the retro Fuchs-style wheels and subtle gloss black details all combine to make it look more than the sum of its parts. 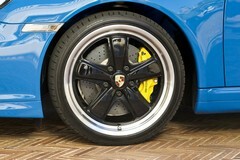 Those parts, of course, are the amalgamation of various 911 models. 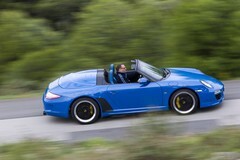 The Speedster has a wider body normally reserved for the Carrera 4 and Turbo models (and the GT3 RS) but with rear-wheel drive. To that is added a powerkit 'S" engine (402bhp and 310lb ft of torque), carbon ceramic brake discs, a twin-clutch 'PDK' gearbox (manual is not an option), limited slip diff, adaptive sports seats, cruise control and sat nav - almost every option possible on the list. 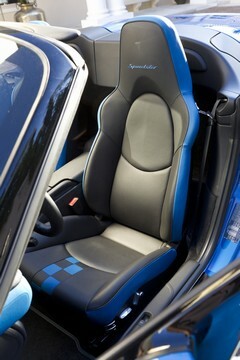 The genuinely special parts - and where real money has been spent in homologation - are the new roof and safety systems. 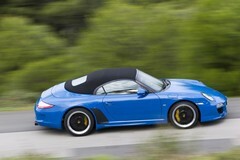 In true Porsche Speedster style the windscreen has been cut down by 60mm, while the roof is unique. 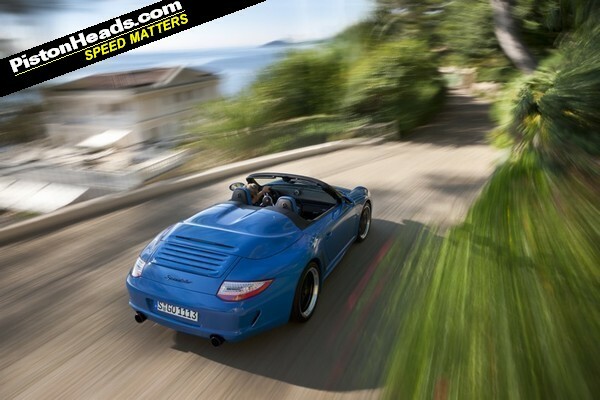 It's raised and lowered via a combination of electric and manual effort, and its quality and weatherproofing are far removed from the tent-like affair on the Boxster Spyder. When lowered it's stowed underneath the distinctive aluminium rear deck. 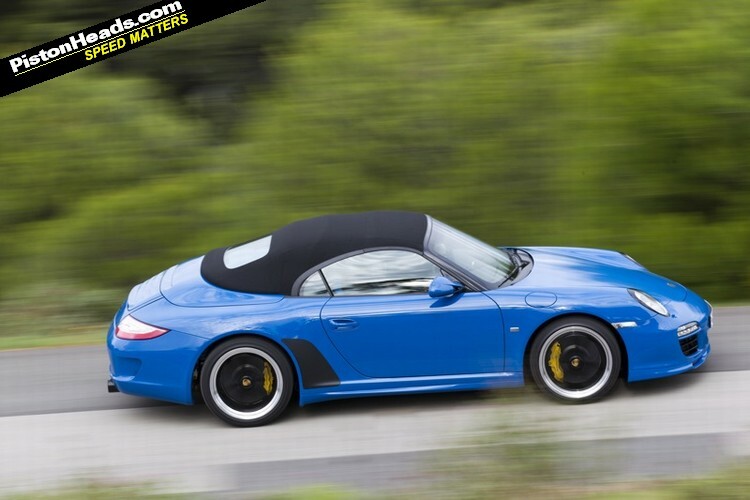 Despite this material usage, along with aluminium doors and the simpler hood mechanism, the Speedster weighs exactly the same as a standard Carrera S convertible. Otherwise, the car is peppered with small details from Exclusive: blue chequer pattern on the black leather seats; leather air vents; anodised black sills with build number; glossy black exhaust pipes - you get the idea. Again, like the Sport Classic the combination of the wider track with the rear-wheel drive chassis seems to elevate this car above the regular Carrera models for ride and handling (something that bodes well for the forthcoming GTS). 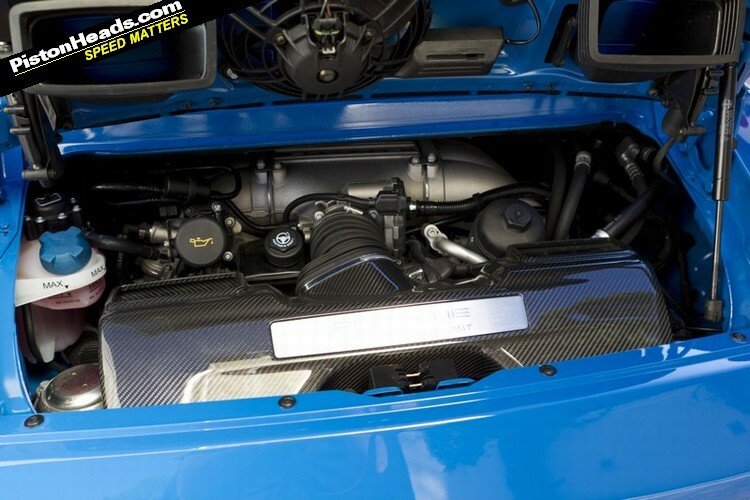 The unvalved sports exhaust has a delicious note too: less rasp than the usual sports exhaust, but a deeper, more melodious tone that's addictive on the ears. Unsurprisingly, it's very quick indeed. Of course, for most of us the thought of what could be bought for the same money - even still buying within the current Porsche range - make this car an absolute non-starter. And it doesn't exactly live up to the purist, simple spirit of the original 356 model. 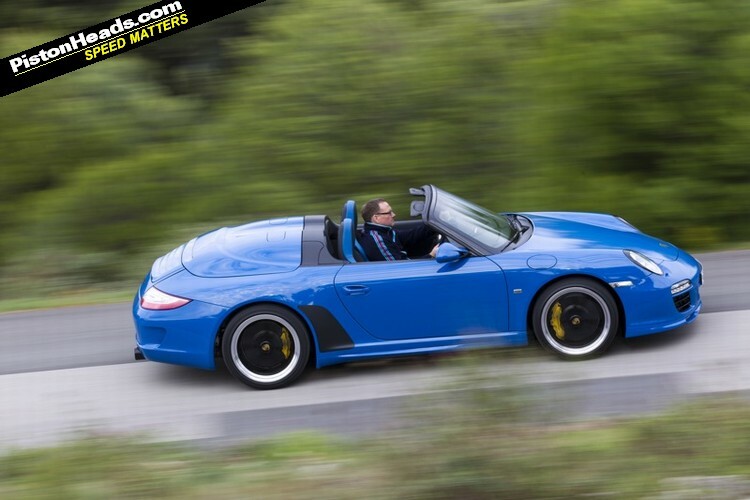 But the Speedster looks different, feels and sounds special and drives very nicely, and you can't help but feel that those who have bought one already will be pleased, not only to bolster their collections, but also for the occasional drive. 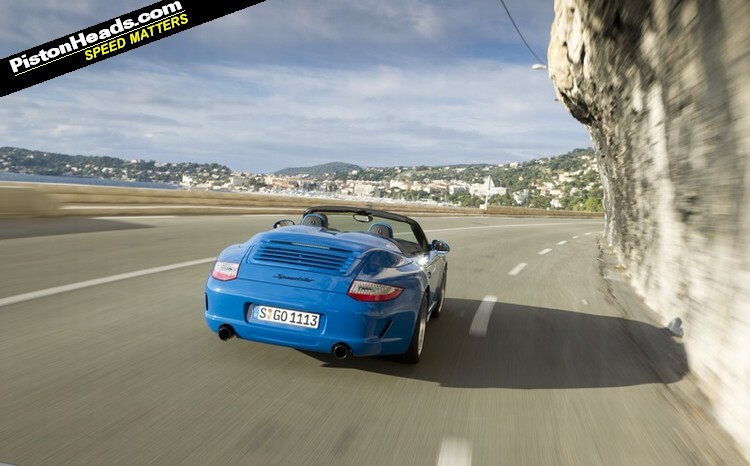 For Porsche, that's job done. Looks like a blob of snot after snorting blue powder paint. 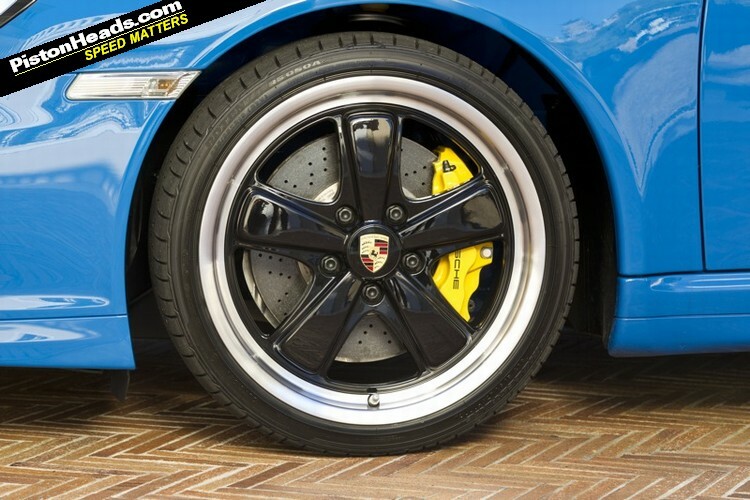 I do like those alloys , still undecided on the car though..
Well, I think it looks marginally better than the standard 997 cab, but there is no way to my mind that it's worth nearly double the money. 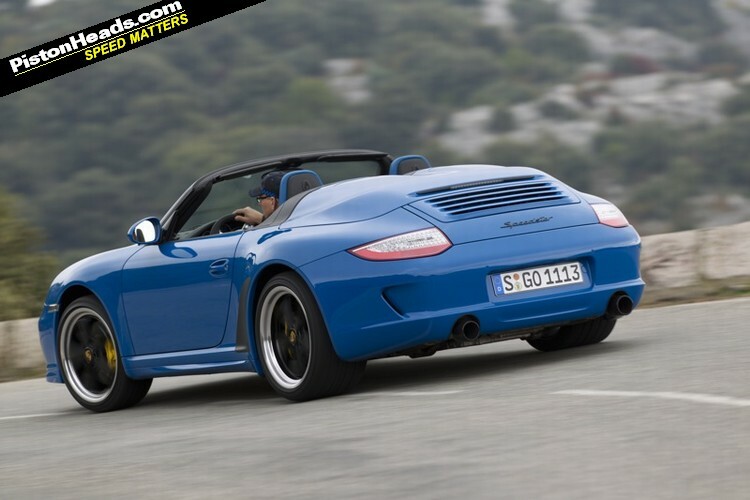 Still, if people are willing to pay Porsche that much for exclusivity, good luck to them. How stupid are those seats? Modded saxo style.